Emily Hall, a 2009 member of Music City, submitted this photo and caption. This is one of my favorite pictures from all of tour. At the end of our last rehearsal and before we left the field, a few of us hung around to take pictures. 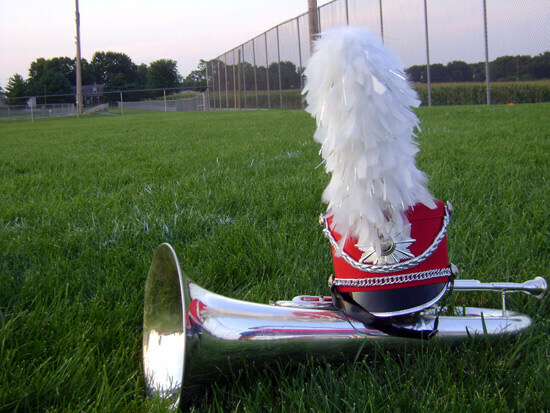 I took this one of a euphonium with the Music City shako on top of it. It was a beautiful conclusion to a great beginning for our brand new drum corps.